Here are some surprising points I picked up from a talk I attended on Hormones..
1. Do you know your hormones can make you fat? Leptin is the hormone that controls your hunger pangs. It tells you your stomach is full so that you will stop eating. Ghrelin is the hormone that tells you you're hungry; it's time to eat. If these 2 hormones are not functioning properly, say Ghrelin keeps giving you hunger signals and Leptin doesn't tell you to stop eating, then you will overeat and put on weight. Take Lingzhi / Ganoderma. It helps to regulate these hormones. When they are in the correct balance and functioning normally, you can eliminate leptin / ghrelin as the culprit of your weight gain. 2. Do you know that problems with your thyroid gland can result in you gaining weight? Thyroid hormones help you to control metabolism - how fast you can metabolise food to turn it into energy. If your thyroid does not produce sufficient T3 and T4 hormones (too low), you suffer from hypothyroidism. Apart from feeling fatigued and depressed, you also tend to put on weight very easily. People with thyroid problem will also have lower progesterone and testosterone levels, which are associated with PCOS problem. Take Lingzhi / Ganoderma to normalise the function of your thyroid so it produces the right amount of T3 and T4 hormones. 3. Do you know hormonal changes can cause acne problem? This normally happens to teenagers, when they experience hormonal changes as they're growing up. Many teens get pimples when their hormones rise during puberty. When the hormones level go up, their skin makes more oil. If this oil gets trapped / clogged in the pores, it can cause acne. The hormones can also cause more bacteria on the skin, which lead to acne. Take Lingzhi / Ganoderma and Pollen, as well as use Aquasense skincare products. 4. Do you know that imbalance in your hormones can make you sleepy? Progesterone - if the level of your progesterone hormones are too low, you will have difficulty falling asleep and staying asleep. By the same token, if you have excessive progesterone, you tend to feel sleepy and fatigued. Melatonin - this is the hormone that can help you sleep. People rest better when their body is making more of this hormone. How to regulate these hormones? Take Lingzhi / Ganoderma to regulate your progesterone and melatonin level. 5. Do you know your hormones can give you stomach problem? Your gut is lined with tiny cells called Receptors that respond to Estrogen and Progesterone. When these 2 hormones are higher / lower than normal, your digestion will be affected. This may cause you feelings of cramps, nausea, bloatedness, stomach pain, constipation, diarrhea etc. 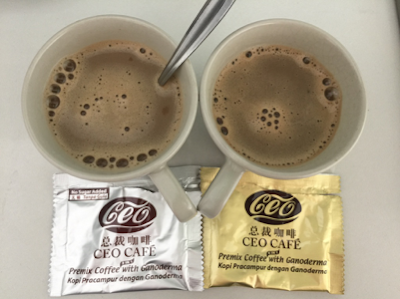 Take Lingzhi / Ganoderma together with Lactoberry probiotics to regulate your hormone levels and adjust the irregularities in your digestive tract, so that the receptors can react to estrogen and progesterone better. 6. Do you know you can blame your mood swings and many other problems on your Estrogen? When the level of your estrogen is too low, these are some of the problems that can happen..
your breast tissue becomes less dense. How do you boost up your estrogen level? Take Lingzhi / Ganoderma. It can help regulate your estrogen level to the optimal level. When your hormone production ability is normal, you won't experience this symptoms. 7. Do you know your hormones can lead to breast cancer? Your Estrogen and Progesterone are metabolised in your liver. Poor liver function (including malfunction caused by absorption of excessive harmful xeno-estrogen / environmental hormone) leads to unhealthy estrogen metabolism, and a higher level of unhealthy (low quality) estrogen being produced, which may lead to breast cancer. You don't want your estrogen to be too high because that will thicken your breast tissues and can cause lumps / cysts to grow in your breast. Take Lingzhi / Ganoderma to address this problem. You cannot look at each problem in isolation e.g. liver problem, digestion problem, breast cancer problem etc. Look at the whole body in a holistic concept as all our organs are inter-related. Otherwise, the real cause of the problem is not addressed, which will lead to more serious problem as you're not treating the cause of it. The cause will continue to deteriorate and become more severe eventually. What are the Common Causes of hormone imbalance? One of the key causes of hormone imbalance is Food/Dietary Stress. In our hectic lifestyle, a healthy, balanced meal is often compromised. Due to time constraint, we tend to eat a lot of processed food and fast food. Doing this regularly will disrupt our hormones. It brings more stress to our body and increases the production of cortisol hormone (a stress hormone produced by the adrenalin gland). This blocks the progesterone receptor and leads to the reduction of progesterone being produced (and all the associated problems). 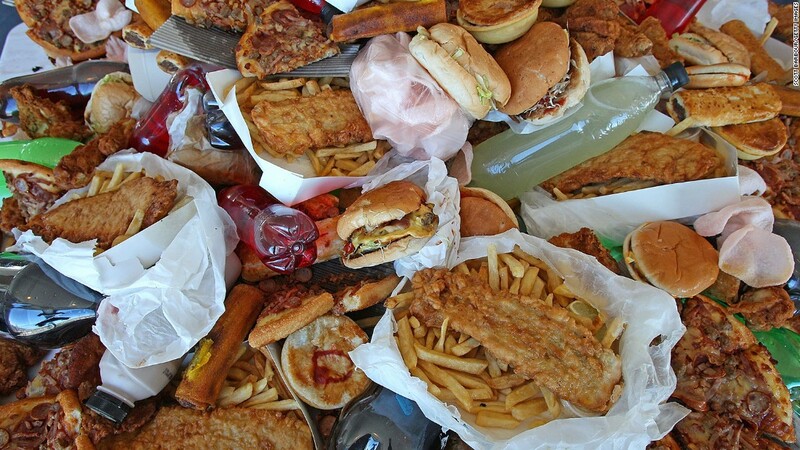 Eating unhealthy food can cause digestion problem. Digestion problem can lead to hormone imbalance, as the balance of good and bad bacteria in your gut will be affected. The bad bacteria will lead to inflammation happening in your gut, which in turn will suppress your hypothalamus and pituitary gland to tell your body to produce less estrogen and progesterone, which will lead to adrenalin gland and thyroid gland also over/under produce hormones etc., which leads to further hormone problem. It is a vicious cycle. Hormone problem aggravates the digestion situation, and digestion problem can cause hormone problems. Medication cannot address the root cause of this inter-related problem. Take Lingzhi / Ganoderma to stop this vicious cycle. It helps indirectly by providing more than 200 types of nutrients (vitamins, minerals and enzymes) in a wholesome, complete and natural way for your body. For instance, if you're deficient in magnesium, it will lead to hormonal imbalance. The symptoms are you will feel tired, viscosity of your blood increases and you have acne problem. Zinc is important for digestion. Proper digestion is very important for hormones to perform optimally. Vitamin B deficiency makes you feel lethargic easily. Pollen provides the raw material for the growth of hormones. It contains important amino acids, which is the raw material for hormones. 20% of your body cells are made up of protein. If you don't have sufficient protein, your cells won't be able to perform optimally and the hormones produced won't be of good quality, thus leading to hormonal imbalance. It helps you to have a healthy gut so that the receptors in your digestive tract can respond to estrogen and progesterone well. They help ensure that the clothes you wear and your household items are free from environmental hormones and reduce the chance of you absorbing these harmful chemicals through your skin pores and ingestion. Email me at askfuiping@gmail.com to purchase Shuang Hor products to regulate your hormones.